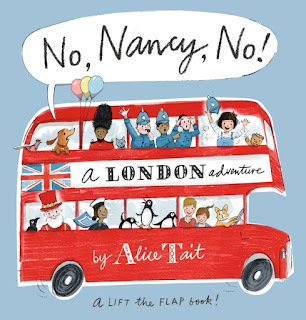 Picture Book Party: Win an Alice Tait hamper and a copy of No, Nancy, No! 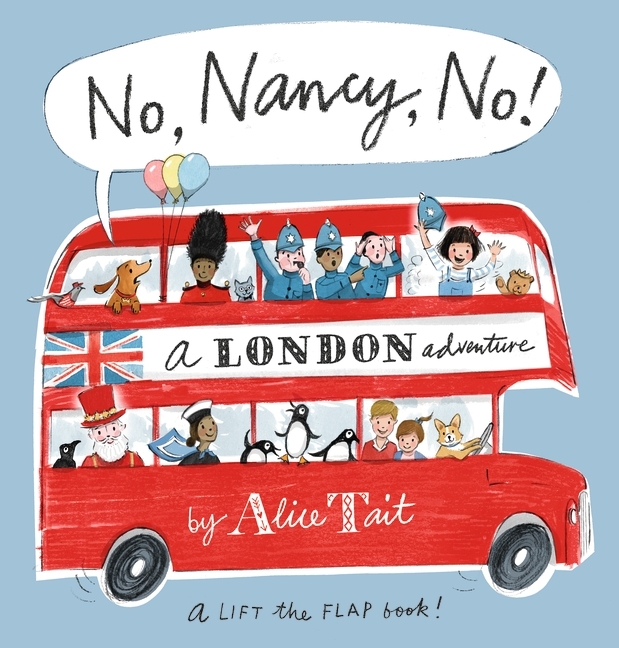 Win an Alice Tait hamper and a copy of No, Nancy, No! We’re excited to welcome Alice to the Picture Book Party blog for a behind-the-scenes on the making of No, Nancy, No! 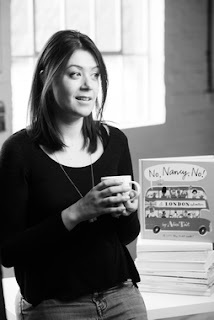 "The idea for ‘No, Nancy, No!’ actually came to me in the middle of the night, I literally jumped out of bed, and scribbled it all down on the back of an envelope. To be fair, it didn’t come completely out of the blue, as my mind had been stewing over a concept for a children’s book since being approached by a literary agency, who asked me if I’d like to give a shot at writing and illustrating my first children’s picture book. 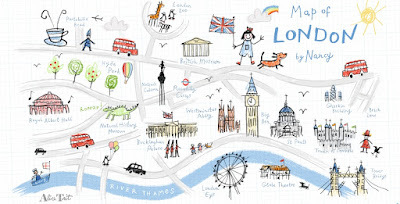 I already had an established range of products, based on my illustrations, selling widely throughout the capital, called the ‘Alice Tait London’ range, and so it made sense to me to create a ‘London’ book. However, my initial ideas had been a bit ‘vanilla’ and my agent had sent me back to the drawing board, literally, to come up with something that held as a story in its own right, as well as a being a beautiful exploration of the city. My own little sister Nancy kept coming to mind, her cheeky and mischievous ways were lots of fun when we were little, and that night I suddenly saw her little character in my mind’s eye, up to no good across the landmarks of London. 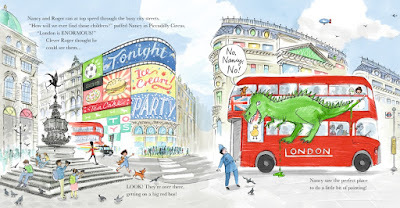 I felt she needed company as she hopped across the sights of the city, leaving chaos in her wake and who better than Roger, a beloved pet sausage dog, to try and keep her in check. Poor Roger (based on my own little dog) tries very hard to keep Nancy out of trouble, calling out ‘No, Nancy, No!’ at each misdeed. It was a long journey from interpreting my scraggly night-time jottings to creating a cohesive dummy, and then my agent using the dummy book to secure me a contract with Walker Books. I could not believe my ears when my agent called me, now heavily pregnant, to deliver the good news, I was over the moon, I could not have hoped for more. However, the real learning journey began when I was taken in hand by the incredibly lovely team at Walker and the editing process began. My goodness they have been so patient with me! 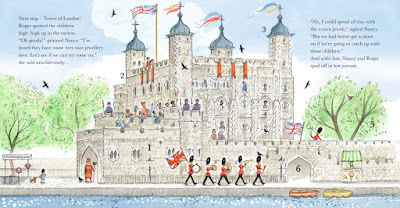 I’ve relished the experience of creating my own characters, and spending hours in my studio drawing the London I love: a fresh choppy day on the South Bank or the clouds blowing over the magnificent Tower of London. 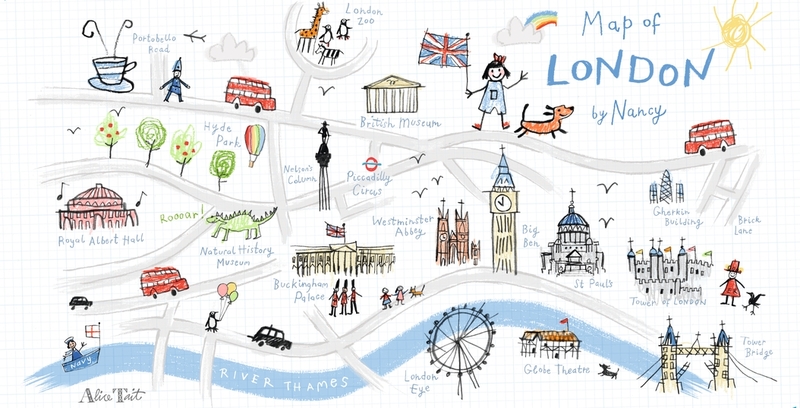 Somewhere along the line this book became a much more personal piece than I ever imagined it could be, as my sister Nancy and I grew up in London and so I’ve ended up creating the London of my childhood. Dad used to take us on drives to Piccadilly Circus just to ‘see the lights’ and I’ll never forget that feeling of prickling excitement. So I’ve tried to pack the pages with that feeling of joy, awe and discovery, along with a dash of adventure!" In the new book No, Nancy, No! 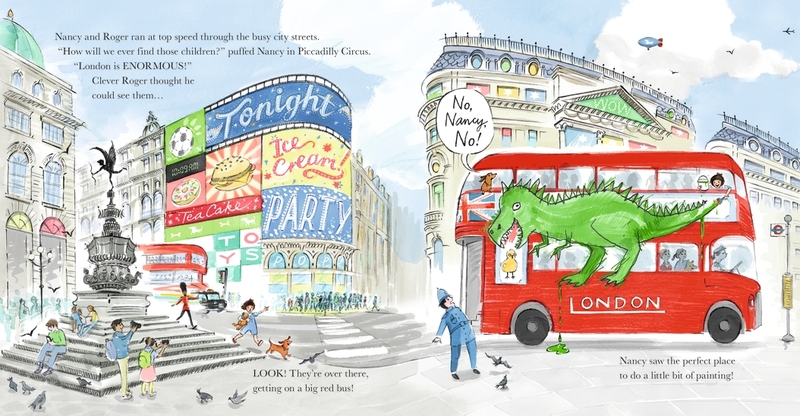 what city does Nancy create her mischief in? To enter, just email competitions@walker.co.uk with 'No, Nancy, No!' in the subject line before 30th June 2017. Terms and conditions apply. Alice Tait is a British illustrator and designer whose artwork has been commissioned by Waitrose, British Vogue and renowned fashion houses, Carolina Ferrara and Chanel. 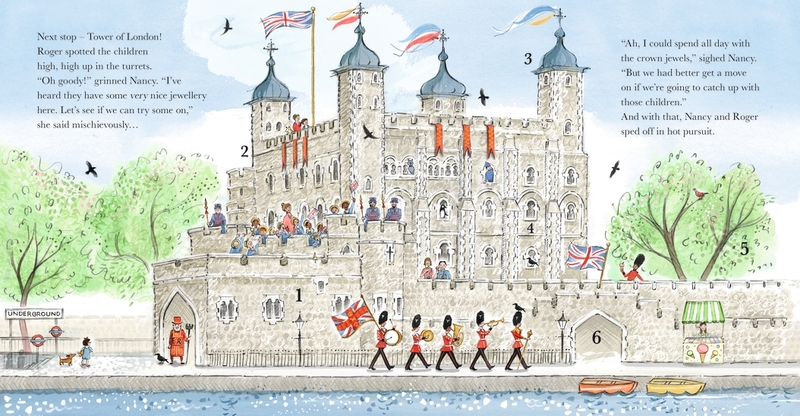 Her prints and London-themed merchandise have also been sold in Habitat, John Lewis, Foyles, WH Smiths, and even the Royal Palaces. Alice has also created cover art for Nigel Slater’s cookbooks and Sue Townsend’s modern classic, Adrian Mole. No, Nancy, No! is her authorial debut. Alice lives in Bath with her husband, young son and sausage dog (the real-life Roger). Find her online at alicetait.com and on Instagram as @alice_tait_illustrates.